Join a four week party in Mexico at a natural water cave in the jungle. Esto Es Tulum will run from Friday, December 28th to Saturday, Janaury 26th with Circoloco opening and closing the event while The Martinez Brothers take control of New Year’s Eve. 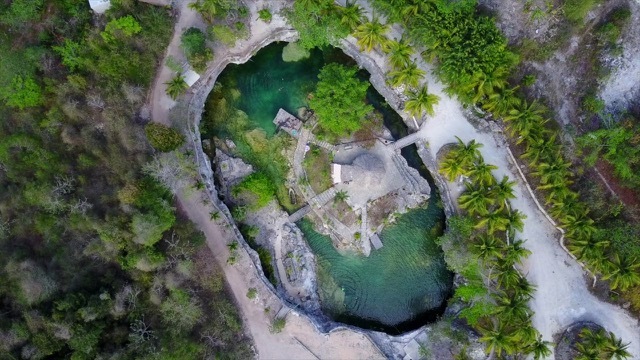 Other brands such as Bedrock, Luciano & Friends, Last Night on Earth, Do Not Sit On The Furniture, Muse, ANTS and Acid Sundays will curate parties at ‘Cenote Casa Tortuga’ which translates to ‘Turtle Cenote’ - a cenote is a natural underwater lagoon which only occurs in the limestone of Yucatán, Mexico. Among the DJs getting behind the decks are Luciano, The Martinez Brothers, Seth Troxler, Sasha, John Digweed, Damian Lazarus, Rampa vs &Me, Job Jobse, Blond:Ish, Gerd Janson, Andrea Oliva and Mathias Tanzmann. Listings below. For tickets and details go to estoestulum.com. For tickets and details go to estoestulum.com.